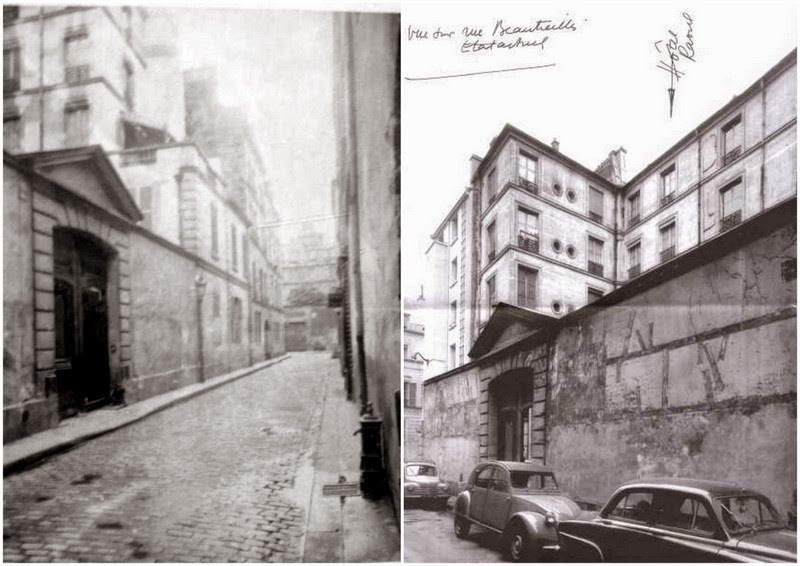 The death of Jim Morrison is not the only mystery in the Rue Beautreillis. On this street where the leader of The Doors spent the last few months of his life and where he (probably) died, another door stands curiously alone. 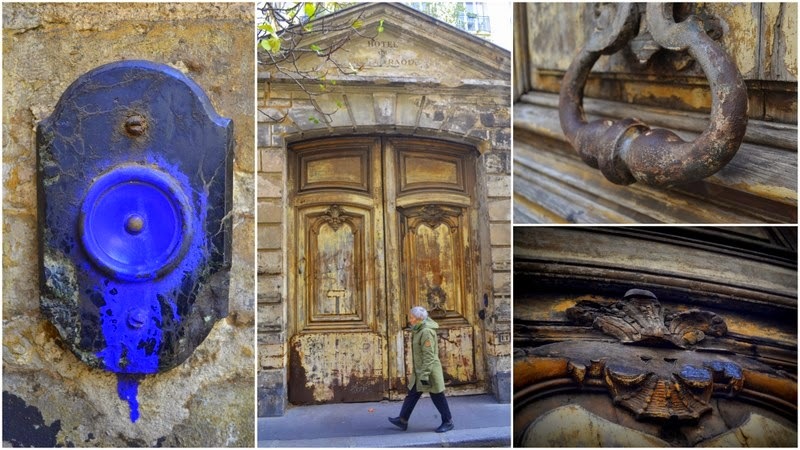 This large stone gateway is the last remaining element of the Hotel Raoul, a historic house in the Marais, but why was it preserved when the rest of the building was demolished? This is the question that has been asked by one of my readers, Karen. The link to Jim Morrison is slightly tenuous, an excuse to work an album name into the title of a blog post, but it is just possible that Jim Morrison asked himself this same question when wandering home with a baguette under his arm. What is this strange solitary doorway here and to what did it once provide an entrance? These are questions that are simple to answer, but I take no credit for finding the solution. Although our eyes may be attracted by the door and walls – and the handsome fig tree that reaches over both – to one side there is a homemade plaque with a URL written on it (although someone has tried to paint over this – perhaps a rival amateur historian). Type in this address and you’ll find an extremely well-documented site covering the full history of this particular location. More interesting and mysterious is why the doorway (and a clock) outlived the building behind it, but we’ll come to that in a minute. First, a little bit about the Hôtel particulier itself. The faded writing above the door was not clear to Karen, but it undoubtedly reads Hôtel de Jean-Louis Raoul. This was its most recent name, but buildings on this spot date back to the 14th century. The first building was the hôtel Saint-Pol, a royal abode and sometime home to King Charles V. A little outside the centre of the city, it was protected by the Bastille chateau and also provided a home to a dozen or so lions! Over the following centuries, the grounds of this house were chopped up into smaller units and criss-crossed by new roads. One of these lots was bought by Paul Ardier, an advisor and minister to Henri IV, who built the first hôtel on this spot, roughly at the same time as the nearby Place des Vosges was in construction. The house passed from owner to owner, always within the French aristocracy, up until the revolution in 1789 when the inheritor of the property fled the country. Following the revolution, a rich industrial, Jean-Louis Raoul, bought the property from the heavily indebted remaining family members, and immediately installed a workshop with forges and anvils for the fabrication of metal files. He also radically transformed the property by adding several additional floors that he rented out. The hôtel remained in the Raoul family until its destruction, although by the end it had become a heavy burden for them. Just before its demolition, in 1960, it was described as being in a very poor state of repair, its renovation obviously beyond the means of the family. The money offered by developers, who built a rather non-descript but surely very expensive apartment block, proved too tempting to refuse. The photos below show how it appeared at various stages of the 20th century. On the left, a photo by Atget taken in 1900. On the right, a last glimpse in 1960 just before demolition. The wall flanking the doorway seems to be in a particularly poor state. Most of what can be seen behind the wall are the additional floors added by Raoul, a feature without great architectural interest. The Marais today is so polished, attractive and seemingly well-preserved that it is easy to forget what a poor state much of it was in prior to regeneration in the second half of the twentieth century. The Hôtel Jean-Louis Raoul is a good example of what had happened; large houses were cut up into smaller apartments, artisans moved into the courtyards and the rapid turnover of inhabitants meant that little care was taken to preserve the buildings. This all changed in 1964 when Minister of Culture André Malraux launched a programme of preservation and renovation. Although this came too late to save the Hôtel Jean-Louis Raoul (which arguably wasn't worth saving anyway), it did radically transform the area. So much so, that it has perhaps gone too far in the other extreme, making it a place only for the rich and for tourists at the expense of artisans and families. Today then there is nothing particularly unusual about a Hôtel particulier in the Marais, nor a doorway of this type. 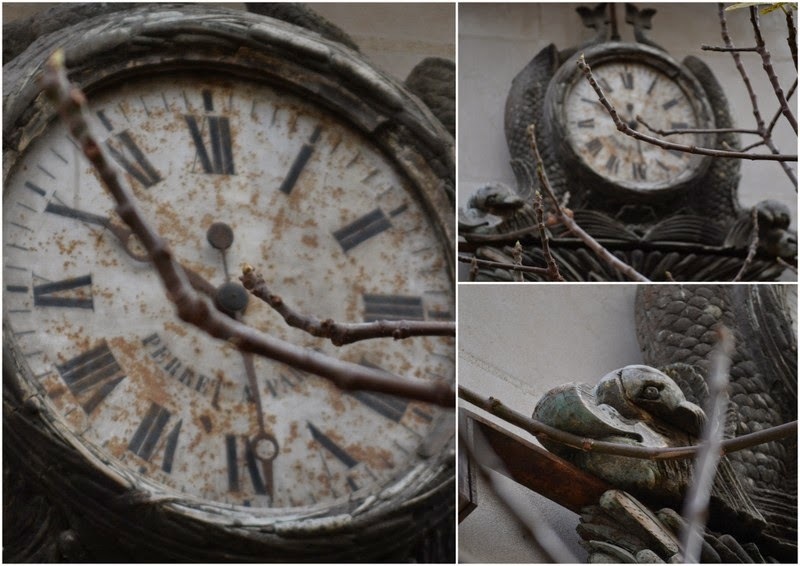 What is remarkable is a doorway standing all by itself (and the clock below, which is now fixed to the wall of the building that replaced the hôtel). How did this come to happen? The answer seems to be because the building was demolished in two stages. After pulling down the first wing, the architect following the project requested the preservation of the doorway, surely with the goal of adding a little character to the rather bland building that would go up in place of the old mansion house. He succeeded in saving the doorway, although the decision now seems to have been a rather strange one. The problem now is that the Raoul family remain the owners of this doorway and the miniature patch of land it stands on, but have little interest in paying for its renovation. They are apparently prepared to separate with it for a very small sum of money, but for the moment nobody is prepared to take them up on their offer - and finance the restoration! Thank you both, Adam and Karen - what a terrific story! And I can't believe the incredible work the 'historian' Michel Cribier did to unveil the secrets of this place either. I'm sorry to confess I haven't been able to follow your other posts but I live in hope to find the time (and eye-sight!) to catch up with you eventually.... We have a whole year 2015 to use! Thank you so much for this great post. I look forward to all of your writings. This one was outstanding. Thank you so much for the thorough research into this mysterious door - what a fascinating history! Very, very interesting!! Thanks so much! Absolutely fantastic!! Merci mille fois! 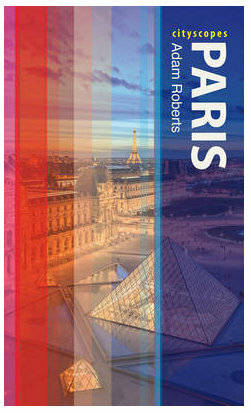 I adore anything to do with the past life in Paris...what a gem! Here is more I found today on the internet, but you have probably already studied this! Salut!